The U.S. 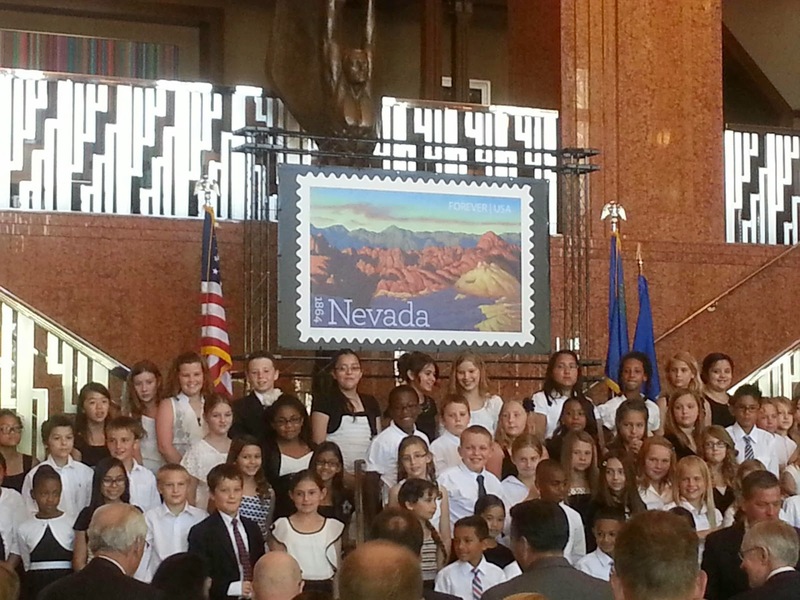 Postal Service (USPS) unveiled the Nevada Statehood 49-cent Forever Commemorative stamp at the Smith Center for Performing Arts in downtown Las Vegas, Nevada on May 29, 2014, with dignities include Vice Chairman of USPS Board of Governors James Bilbray, Nevada Governor Brian Sandoval, Nevada Lt. Governor Brian Krolicki, Senate Majority Leader Harry Reid, Senator Dean Heller, and USPS Postmaster General Patrick Donahoe. The stamp and other collectibles were on sale and the first-day-of-issue cancellation was available before and after the ceremony. 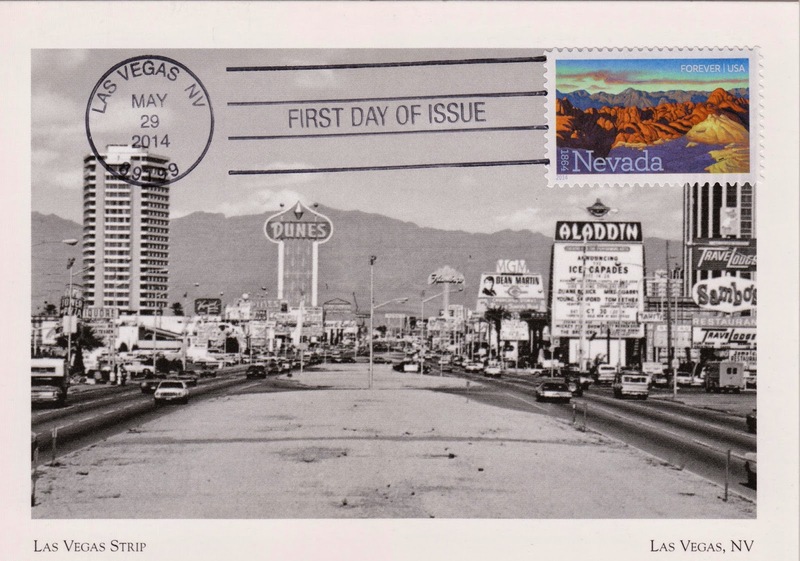 Postcard US-2814029 to New Zealand got a first-day-of-issue postmark, showing the south end of the Las Vegas strip in the old days where motels, a Sambo's, gas stations, the Tower of Pizza, and the wonderful neon signs were lining along the old highway. Those signs towered over the traffic below, giving a sense of scale. After applying the first-day-of-issue postmark, the Postal Service will return the envelopes through the mail. There is no charge for the postmark up to a quantity of 50. For more than 50, customers have to pay five cents each. All orders must be postmarked by July 28, 2014.